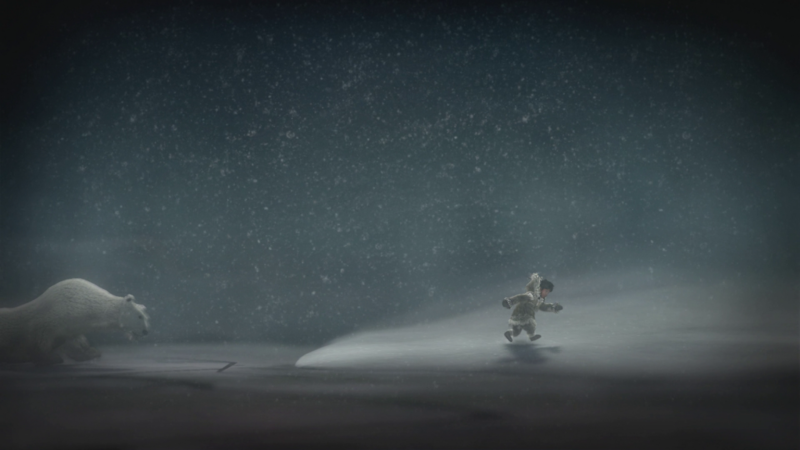 Never Alone is a 2D side scrolling adventure game from Upper One Games and E-Line Media. 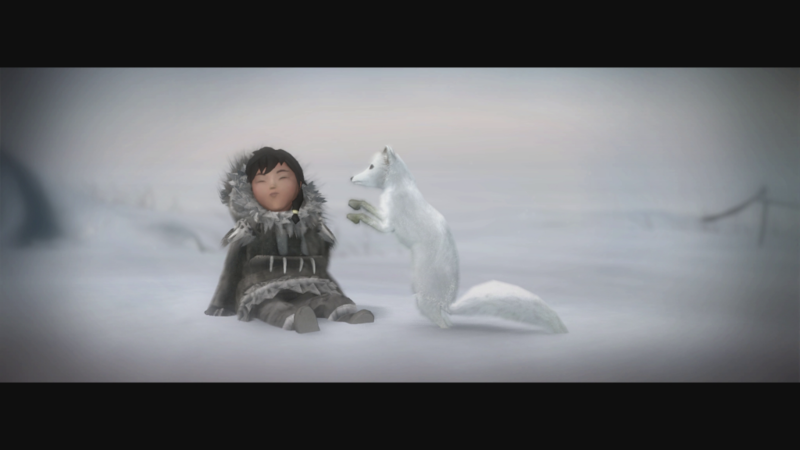 It tells the tale of Nuna, a Inapiaq, as she braves the Alaskan frontier to save her village. She is joined in this adventure by a companion Fox. The two characters are either controlled back and forth by a single player or by a second controller in couch co-op. Yes, it’s another digital title that doesn’t support Live. It really makes me want to question Xbox and just how hard is it to hook into Live. Never Alone is a gorgeous game. The characters and the backdrops are some of the most detailed and vibrant I’ve seen on the ONE. The wind looks likes its cold and biting, the environment looks harsh. The details in Nuna and the fox both from a character design aspect and also in their movements is simply top notch. As they run and climb and move through the world it is easy to immerse yourself in the story. The story is told, narrator style, by a Inapiaq and is based on a real folk story handed down generation to generation. As you complete levels you unlock these amazing cultural insights that are mini documentaries that further explore the lives of the Inapiaq. These cultural insights represent the collectibles in the game. There are 24 total and probably 21 of them are given to you as you follow the story. You would really have to go out of your way to miss 90% of them. There are about 3 that are just off the main path, but truly these 3 are in about the only other non-main path areas you can go. If you see a ledge or rope that is not on the main path, chances are that’s a collectible area. The cutscenes are told in native scrimshaw and look just as good as the rest of the game. The problems start to arise in that a game is not just pretty pictures. You need an actual game to play and Never Alone is a very basic adventure game at its core. Nuna runs around and climbs things and uses her bola to destroy ice and to activate spirits, while the fox is able to reveal and manipulate hidden animal spirits to create and move platforms for Nuna to use. The most interesting part of the game, the interaction between the fox and Nuna, is marred in that it seems they never knew whether to make a single player game or a co-op and ended up with something that doesn’t really work for either. As a single player game you really are only playing one character in that you do something with Nuna, switch to the fox, and then do something else and then switch back. There is nothing that requires both characters to do anything at the same time. The puzzles were a lot easier in co-op but overall co-op was unfortunately a fairly boring experience. Player A does something then Player B then there is more running. No coordination is really needed. The second half of the story has an interesting twist, that is great story wise, but makes playing the fox particularly boring from this point on. A good co-op game requires both players to work together, where Never Alone would probably play out exactly the same if it was played by a single person using two controllers. There was a section with a moving crate witch shows some of the basic flaws of this 2 character system. Nuna had to control the crate and both Nuna and the fox needed to reach a high ledge. So I had to have Nuna hold the crate while the fox made the jump, then while I was getting the crate back into position for Nuna to jump, the fox AI would repeatedly jump back down ruining the entire sequence and forcing me to restart. The companion AI is really just set to follow mode. They will do any basic jump but anything requiring a real button press you need to switch over to do yourself. Most of the puzzles were artificially harder because the AI wouldn’t hold where you needed them to or they lagged so far behind your movement they got crushed by just not keeping up. 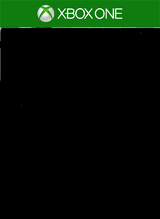 My entire playthrough of the game, with loading and deaths, was just under 3 hours. I hate trying to create a subjective coloration between cost and time played but 3 hours is a short game. And 3 hours for $15 is definitely on the high end of the current market. There is no NewGame+ here, no try to beat a par time, no reason to replay period really. I finished the game, watched the cultural insights (if you are a achievement hunter there is a achievement for finding and watching them all. I can confirm you can start each one and back out if you want to but they are really well made.) and then I was done with Never Alone with no hook or desire to return. It’s not a bad game. There are no glaring flaws or errors or glitches (The fox did get caught in the environment one time) it’s just that there is no wow factor either. Nothing that grips me and says this is something that adventure games have been missing and here it is now. The game is gorgeous and the story is well told but for me it seems like they made a good documentary and then shoved a Max: Curse of the Brotherhood clone into it.